By comparing apples to apples (or even apples to oranges), you can find the product that will best fit your needs and your budget.Comparison shopping sound like a lot of work? The good news is that this process doesn’t even have to take you out of your home, if you wish, because most research can be done in the privacy of your home on your computer. Additionally, many flooring companies and installers, like ﻿Lumber Liquidators﻿ ﻿will send a consultant to your home to discuss options further. Want to see a great comparison of prices from a hardwood (engineered and solid) with the guaranteed lowest prices? 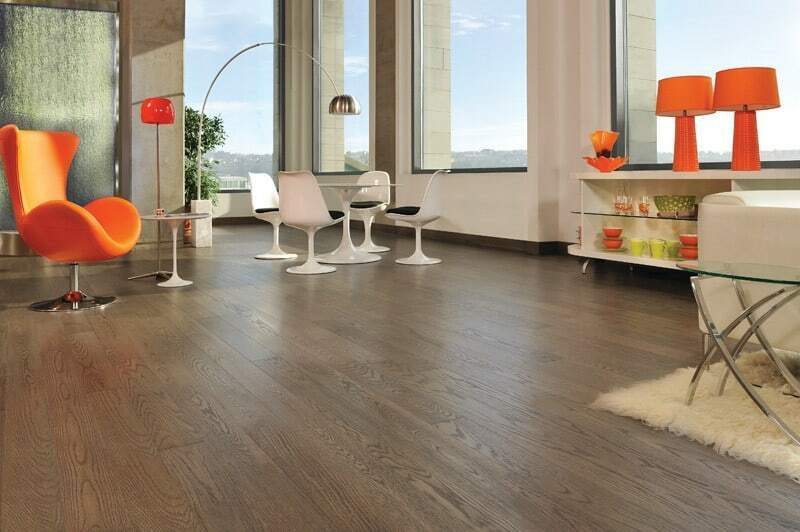 Take a look at Lumber Liquidators for a huge range of engineered and solid wood flooring. Today, we are doing the initial work for you! We’re taking the guess work out of the engineered vs solid hardwood flooring debate. 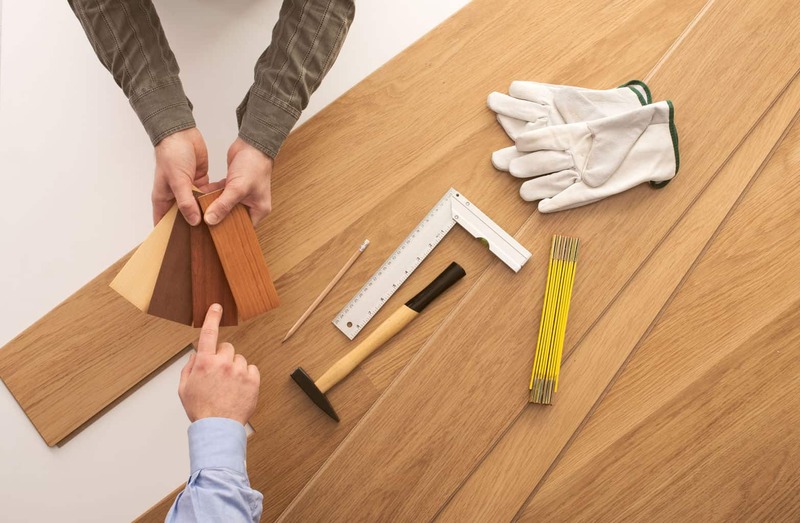 Check out the following comparison to help you make the right choice if you are considering either one of these flooring options for your home or a room in your home. Engineered vs solid hardwood flooring can start many a lively debate among friends, home builders or remodelers and homeowners. There are pros and cons to both, but for the most part, nobody can tell the difference in the look once the floor is installed. Let price, availability, environment and lifestyle issues help guide your choice. When considering engineered vs solid hardwood flooring, you first want to take a look at the individual features of each so that you have some basis to compare these two types of flooring. 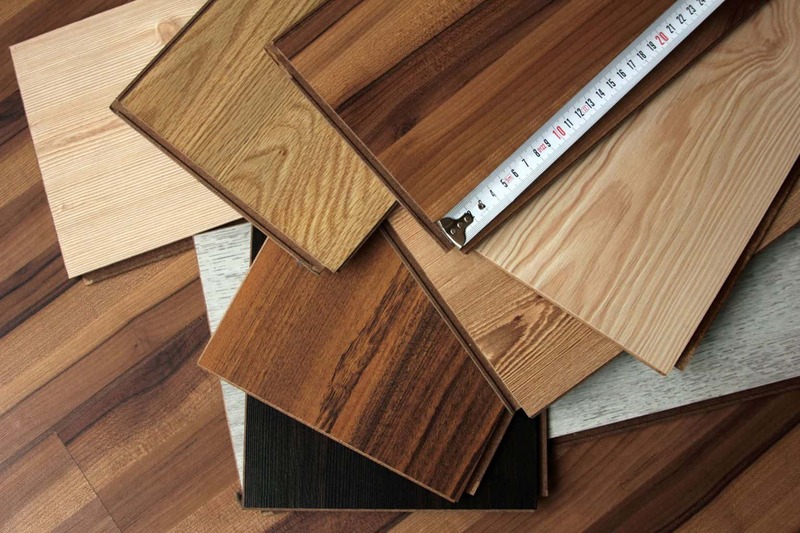 Here are the basics of each of these two types of wood flooring. 1. Versatility and Ease of Installation: Unlike solid hardwood flooring, engineered flooring can be installed in any room that you choose, even a basement, because it can withstand moisture due to the layers of material in the flooring that are designed to withstand buckling and rippling. Engineered flooring can also be installed over radiant floor heating, which can keep your feet warm during those cold winter months. 2. Durability and Maintenance: Caring for engineered hardwood flooring is similar to solid hardwoods, as the top layer, the “wear layer,” that will come into contact with the cleaning materials is essentially the same for both. With any hardwoods (engineered or solid), you will want to avoid abrasive or harsh chemicals like ammonia, and avoid using excessive soaking, as hardwood is susceptible to water damage. 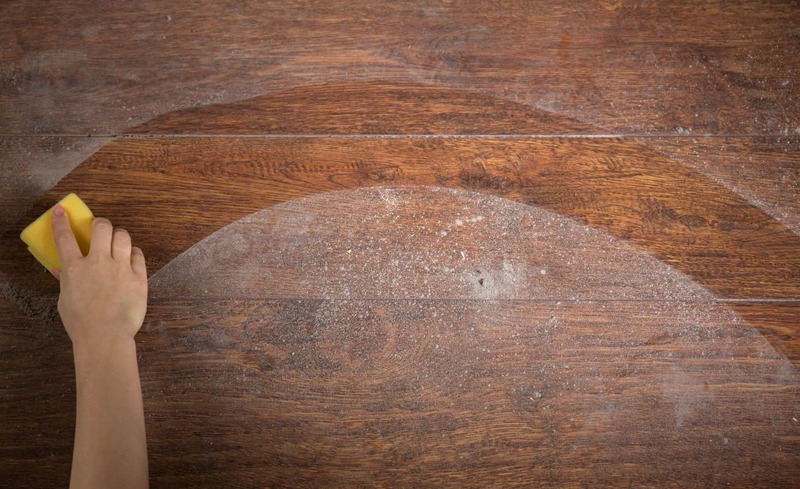 Never use a steam cleaner on your hardwood floors-engineered or solid! 3. Price: Engineered hardwood looks just as beautiful as solid hardwood flooring at a much better price that will fit almost anyone’s budget. Engineered hardwood floors also easy to install, saving on the cost of installation if you have the desire to do it yourself. 4. Environmentally Friendly: Engineered hardwood flooring is also more environmentally friendly than solid hardwood floors because the sub-surface layers are made from “junk” or “scrap” wood that would traditionally have been unusable, not the ornamental wood. This approach saves more forests because each tree of the hardwood, the oak, maple, bamboo, etc., can go further than it does with traditional solid wood floors. Because the engineered hardwood floors are made by compressing a lower quality scrap wood for the first few layers of the planks and then using the traditional hardwood layer on the surface, you cannot refinish the floors very many times. Depending on the thickness of the top layer, you may be able to get up to three or four resurfacings from most engineered hardwood floors. So, while it’s not as long lasting as solid wood flooring, many engineered hardwood floors can be refinished. Despite only having a top layer of traditional hardwood, engineered wood flooring is a durable floor during its lifetime. Solid hardwood flooring comes in many different varieties of wood species, ranging from the traditional choices like maple or oak to more exotic woods, like bamboo. Solid wood floors are slightly more expensive than an engineered wood flooring, but if you are a diehard wood flooring enthusiast, then you may want to stick with a solid hardwood flooring. As the name implies, solid hardwood flooring planks are the traditional style of wood floors where the planks are made entirely from the hardwood, not from any kind of a wood composite or filler. 1. Added Value: When selling your home, if you have a home has solid hardwood floors, the listing price automatically jumps up. This is because the traditional choice of hardwood flooring has long been sought after in real estate and, with the rise in engineered hardwoods and laminates, it is becoming less and less common to find solid hardwoods in newer homes, increasing the demand and the value-add. 2. Potential For Refinishing: Because you can refinish a solid wood floor more times than you can an engineered wood floor, this flooring type lasts longer. This also helps balance some of the environmental problems associated with some wood floors, as you may be using a greater proportion of the hardwood in the initial design, but these solid planks will far outlast the “wear layer” of engineered woods. 3. 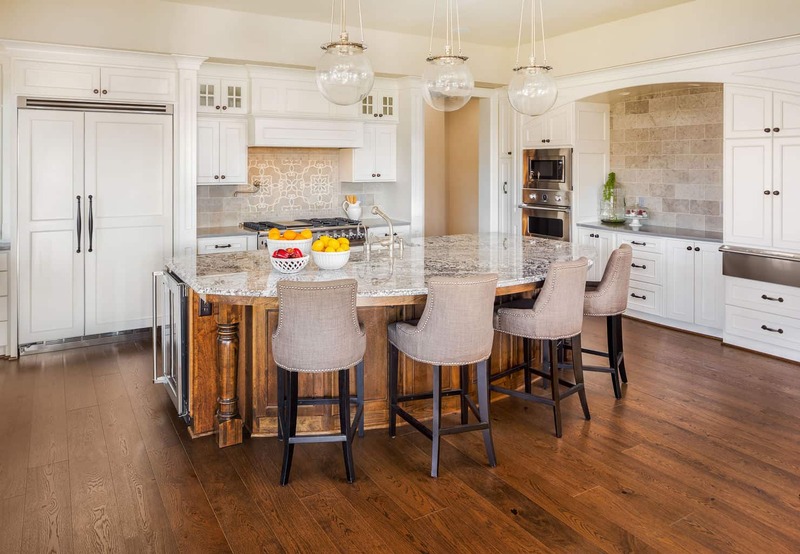 Enduring and Long-Lasting: While solid hardwoods require a hefty amount of maintenance to keep in pristine condition and solid hardwood flooring can be damaged more easily than engineered hardwoods, there is no doubt that these floors can be refinished and repaired time and again. 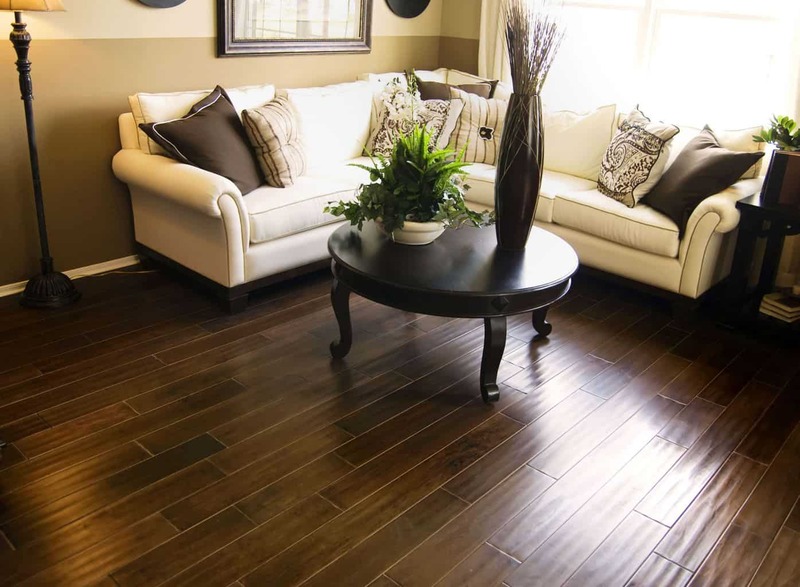 So while they may not be near the top of the list for durability, they still have a lasting staying power that means they can be revitalized time and again throughout the life of the floor. 4. Timeless Beauty: Truthfully, it is very difficult to tell the difference between a high quality engineered wood floor and a solid hardwood floor. However, there is a certain sentimentality and beauty in knowing that a solid hardwood floor will last through the lifetime of the home. If your home is a place you plan to live in for a long time, there is a certain appeal in knowing that the solid hardwood floors in your home today will be the same floors enjoyed by generations to come. Solid hardwood can’t be installed (or isn’t recommended) in high moisture areas and should be avoided in rooms where water damage is likely, such as the bathroom, basements, or laundry room. Many professionals even recommend to avoid a solid hardwood floor in the kitchen. This is because the higher moisture content in the air — or excessive water on the floor, as from a leak — can cause the wood to ripple or buckle, which will destroy the flooring. If you have children or pets, then you may want to consider the durability factor of solid hardwood flooring in your decision. Depending on the hardwood used, these floors can be damaged comparatively easily. All solid hardwoods scratch or dent easier than their engineered hardwood counterparts because the wood composite inside an engineered flooring plank is designed to withstand additional wear. However, the “wear layer” of an engineered hardwood floor is comparable to the solid wood counterparts and both will need to be properly maintained with a regular polyurethane or wax sealant in order for them to last. It was once true that most solid hardwood flooring needed to be professionally installed. If you are a do-it-yourselfer, then this was traditionally a big negative for solid hardwood flooring. However, these days, most hardwood flooring is designed with tongue and groove style planks that can be installed by anyone with a level subfloor. Check out this video to see how to install the tongue-and-grove style planks typical of modern solid or engineered hardwood flooring. …entirely a matter of preference! Unfortunately, I can’t tell you which of these two flooring options is the right choice for you. Deciding between engineered vs solid hardwood flooring is a decision that should be made carefully. In some cases, your budget will be the determining factor, but if at all possible, it is better to let other considerations make your decision for you. 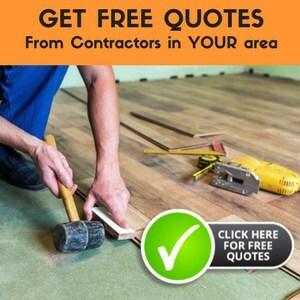 Consider the rooms that you will be installing the flooring in, the people who will be walking on and enjoying the floors, and what your dream flooring is to help you determine the winner between engineered vs. solid hardwood flooring in your particular situation. I also strongly recommend that you reach out to several different manufacturers and suppliers to check out their products and do some comparison shopping between all of the options. Thanks for bringing to my attention that engineered hardwood is less expensive than solid wood. My husband and I have decided that we want to build a deck, and we’d like to put in wood flooring. Perhaps it would be a good idea to go with something engineered so we can save some money on this project. Glad you found the information helpful! Good luck with building your deck! I want to have a solid hardwood flooring installed in our new home because I know that wood is effective in keeping a home cool. I know that there are a lot of factors to consider in choosing this, that’s why it’s good to know that even when it’s not that durable, it can be repeatedly repaired. That’s a good enough reason for me to choose hardwood. Thanks for the info. I appreciate it. I live in NJ , planning to get installed Brazilian teak enginereed flooring all over my house. . I do not have basement so my 1st floor is over concrete which made me choose engineered wood. My question is my top floor should I go with solid or enginereed? I have particle board which I am planning to replace with plywood . So should I stick with enginereed wood all over the house or top floor should change to solid ? Is it ok if I go with 5″ planks on both ?